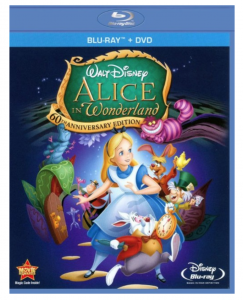 Alice in Wonderland 60th Anniversary Edition Blu-Ray Just $9.99! Head over to Best Buy where you can grab Alice In Wonderland 60th Anniversary Edition Blu-Ray for just $9.99! (regularly $14.99) Be sure to select free in-store pickup to avoid shipping fees. Otherwise orders of $35 or more will ship free. If you prefer, Prime Members can get this for the same price on Amazon. NOTE: This deal is available exclusively for Amazon Prime Members. If you do not have Amazon Prime, you can get a 30-day free trial here.